We are pleased to present the fifth REFORM newsletter and keep you informed on the progress of our project and on other connected developments. Of course, we always appreciate it when you forward our newsletter to interested colleagues. At first, I would like to draw your attention to the International Conference “Novel Approaches to Assess and Rehabilitate Modified Rivers” that REFORM organises in 2015. It will take place in Wageningen (the Netherlands) from 30 June - 2 July 2015. Further information will be available in September 2014 on our website and communicated through the 2nd announcement. Since our last newsletter the following deliverables are ready and available on our website. D2.2 Influence of Natural Hydromorphological Dynamics on Biota and Ecosystem Function. D4.1 Field protocols and associated database for paired river restoration comparison. D4.2 Evaluation of hydromorphological restoration from existing data. We invite you to consult these deliverables and hope they are of use for your work. Of course, we welcome feedback on our results. The main conclusions of D4.1 Evaluation of hydromorphological restoration from existing data are summarised in the newsletter item “Learning from the past to improve river restoration in the future”. In total, the outcome of 120 projects have been analysed for their effectiveness considering catchment, river and project characteristics. Besides deliverables, REFORM also produces other results such as scientific publications. The actual overview of our first 13 published papers is given in this newsletter along with a description of how we can keep you informed when new papers are published in the future. Within REFORM, young scientists are given the opportunity for Ph.D. research. From this newsletter onwards Ph.D. students present their research and initial results. 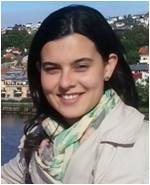 In this edition, two Ph.D. students present their work: Vanesa Martínez-Fernández (Spain) studying the impact of flow regulation on native riparian vegetation and Mijke van Oorschot (the Netherlands) modelling the dynamic interaction between vegetation and river morphology. Figure 1: REFORM’s 4th All Partner Meeting took place in Baeza (Spain) early June 2014 and was preceded by a Mediterranean stakeholder workshop in Seville (photo: Tom Buijse). REFORM has organised several events for stakeholders (see previous newsletters). 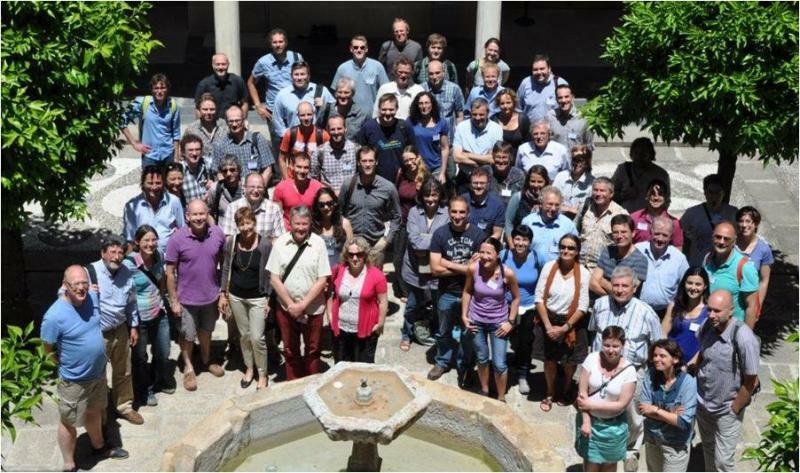 The most recent stakeholder workshop “Restoring Rivers: Experiences and methodological advances” has been held in Seville (Spain) on 2 June 2014 which used the opportunity to have all key persons gathered in Spain for our 4th all-partner meeting. Around 50 participants, mainly water managers from the water administration of Andalucía as well as university researchers, environmentalists, consultants and farmers, attended the well-appreciated and lively workshop. 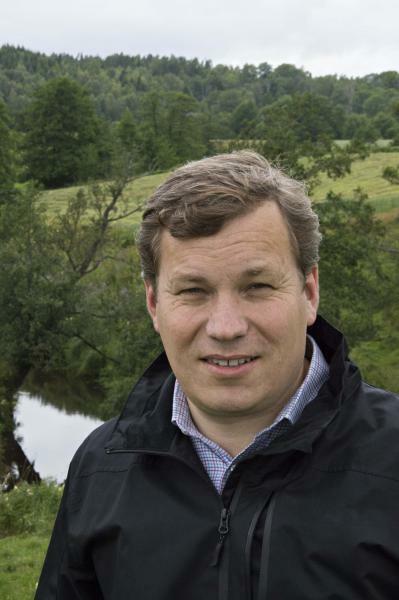 The key expert on rivers and river restoration interviewed for this edition of our newsletter is Johan Kling, senior advisor at the Swedish Agency for Marine and Water Management. Johan addresses the state-of-play on hydromorphology within river basin management planning. He highlights the progressing insight on the extent and impact of hydromorphological modifications from the first to the second river basin management plan. This interview shows the need to get a better grip on the ecological consequences and remediation strategies. Johan Kling is member of the Advisory Board of REFORM. 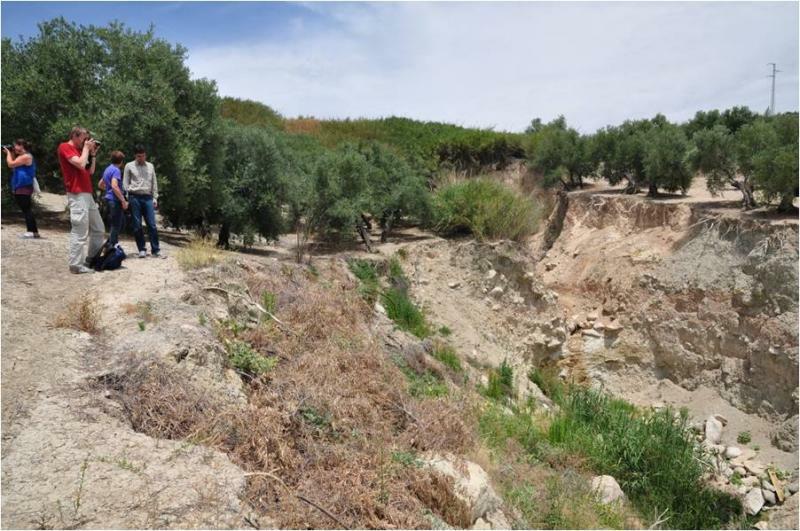 Figure 2: Mediterranean rivers are impacted by excessive fine sediment input originating, in this case, from bare soil erosion in olive tree plantations (photo: Tom Buijse). As always, we present one of our case studies on river restoration: the River Spree in Germany. For centuries this lowland river, which flows through Berlin, has been modified and impacted by eutrophication. The story highlights the complexity of getting agreement from all stakeholders, the consequences when this is not reached and also the trade-off between flood protection and improving ecological conditions. In all, an important project to learn from showing that compromises can result in a substantial loss of ecological effectiveness. Last but not least, we would like to draw your attention to a key upcoming event on river restoration in fall 2014, the European River Restoration Conference on 27-29 October 2014 in Vienna, integrated with the final event of the SEE River project. Also, this time, we hope you enjoy reading our newsletter. If you have comments or questions then please contact us. At the same time, we invite you to contribute. Thus, please let us know if you would like to use our website or newsletter to announce an event or present a relevant study or report. 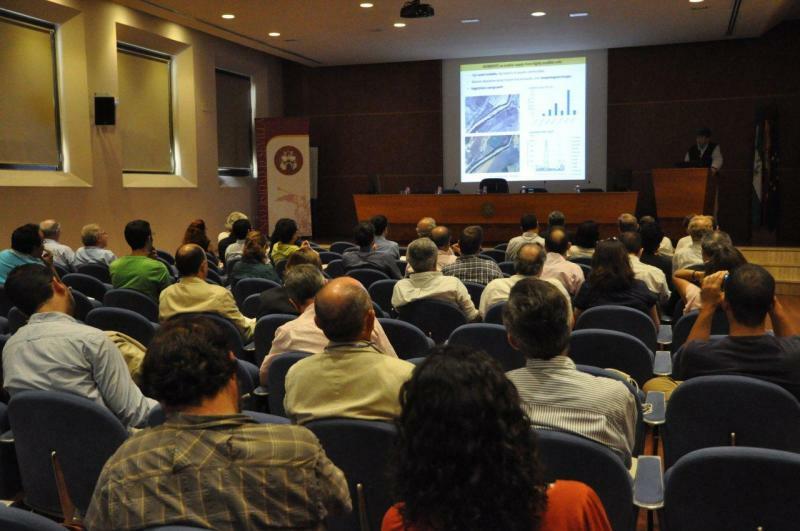 On 2 June 2014, a National Stakeholder Workshop on "Restoring Rivers: Experiences and methodological advances” took place in the city of Seville, at the Pabellón de Méjico (University of Seville) organised by the UPM (Polytechnic University of Madrid). The general aim of the workshop was to raise awareness and interest of water managers and stakeholders on the REFORM Project and its results. The workshop was opened by Dr. Leandro del Moral, Professor at the University of Seville, Dr. Manuel Romero, President of the Guadalquivir Water District and Marta González del Tánago from UPM. The opening speakers highlighted the need for efficient water use and the advances made in recent years in the immediate vicinity of Seville. The workshop focused on the methodological framework developed at European level within the REFORM project to ensure the success of restoration measures in rivers. This framework includes the advances in knowledge on hydro-morphological and ecological processes and its relation to sustainability and ecosystem services. The proposed advances are expected to be useful for the new River Basin Management Plans (RBMPs) in the context of the Water Framework Directive. The workshop programme started with an introduction to REFORM followed by “setting the Mediterranean scene” presentations by Spanish experts on river restoration practices in the Spanish Mediterranean. 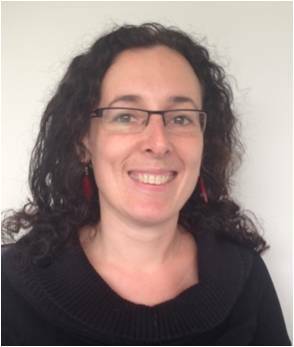 Next came several presentations by internationally renowned researchers working together within the REFORM Project. The presentations were followed by an open discussion of the presented topics, with participant support through direct English-Spanish translation to tackle the language barrier. Attendance was free of charge and approximately 50 participants attended the workshop. Brunch and coffee sessions were offered during the duration of the workshop, which helped maximise discussion and interactions between participants. 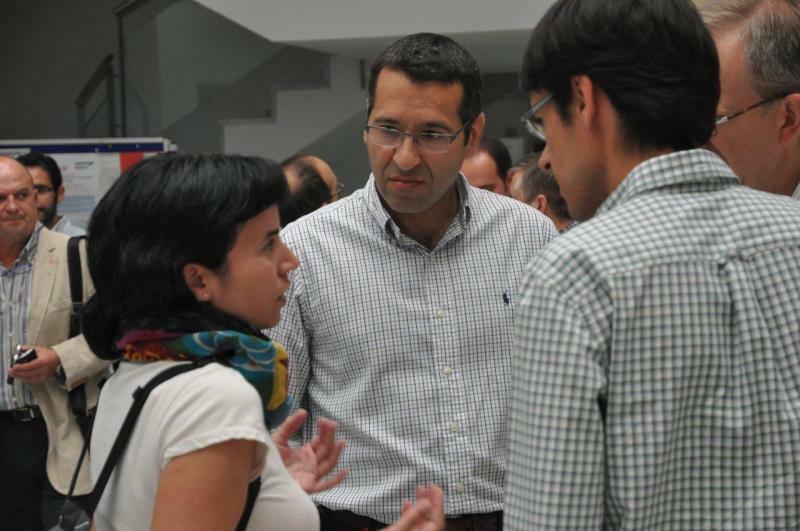 Participating stakeholders were mainly water managers from the water administration of Andalucía as well as university researchers, environmentalists, consultants and farmers. For further information, please refer to the programme of the workshop (see below) or follow this link to access the speakers' presentations. The inaugural 2013 European Riverprize and European River Restoration Conference were highly successful and attracted a large number of participants, who gave very positive feedback. This autumn, the next conference will be organised, again hosted by the city of Vienna. The organisers, the SEE River project and the European Centre for River Restoration (ECRR), are optimistic that the 2014 conference and Riverprize gala can - again with the support of many (partner) organisations - build upon the success of last year and continue to strengthen the recognition and support of good river management in Europe. The ECRR is a European network consisting of national centres and individual members united in their mission to enhance and promote river restoration best practice throughout greater Europe. The ECRR counteracts the threats to natural riverine habitats by fostering the establishment of national river restoration networks, and by disseminating information on river restoration through the website, the newsletter and by organising events like the European River Restoration Conference. The SEE River project is led by the Institute for Water of the Republic of Slovenia and involves 25 more partners from 12 countries. The project aims at developing innovative approaches to contemporary river corridor management by engaging stakeholders along 6 international rivers in South East Europe. It is co-funded by the EU in the framework of the Territorial Cooperation Programme South East Europe. Through stakeholder engagement of different actors, such as experts, administration representatives and people living and working in the river corridors, the SEE project team is working towards new concepts and tools to enable the reconciliation of water management, conservation, restoration and development interests. The project’s facilitation of this stakeholder dialogue has improved the awareness and capacities on contemporary river corridor management of over 500 stakeholders in the region, supporting river restoration for sustainable future management of rivers. In various sessions, delegates of the upcoming 2014 European River Restoration Conference (ERRC) can learn about the inspiring experiences and lessons learned from 6 pilot rivers in the region. The 2014 ERRC conference will showcase and discuss the realisation of new river restoration initiatives and approaches on a focused number of river restoration themes: urban resilience, sustainable land use and hydropower, hydro-morphological continuity, fish migration and ecological and economical benefits. Moreover, the conference will also examine the overall approach to integrated river basin management by examining cross-sectoral engagement and stakeholder dialogue. Furthermore, cooperation on local, regional, national and international levels will be discussed. The plenary session of the EEA and the thematic sessions of Wetlands International, the Global Water Partnership and the EEA will specifically cover these new approaches. Green Infrastructure(GI): A strategically planned network of (semi) natural areas designed and managed to deliver a wide range of ecosystem services, now being supported as the cross-sectoral approach by the EU. Natural Water Retention Measures (NWRM) is another cross-sectoral approach, aimed at reducing vulnerability to natural disasters, namely flooding and drought. Ecosystems and their service provision should be maintained and restored by agricultural buffers and environmental flows. The EU will develop guidance for NWRM and ecological flows by 2014 and promote the NWRM in the integrated river basin management planning cycle. A third challenge forms the innovative new approach called Contemporary River Corridor Management (CRCM). Over the period of the last two years, the SEE River project has worked in 12 countries of Central and South East Europe to develop a new approach of cross-sectoral cooperation in river management. 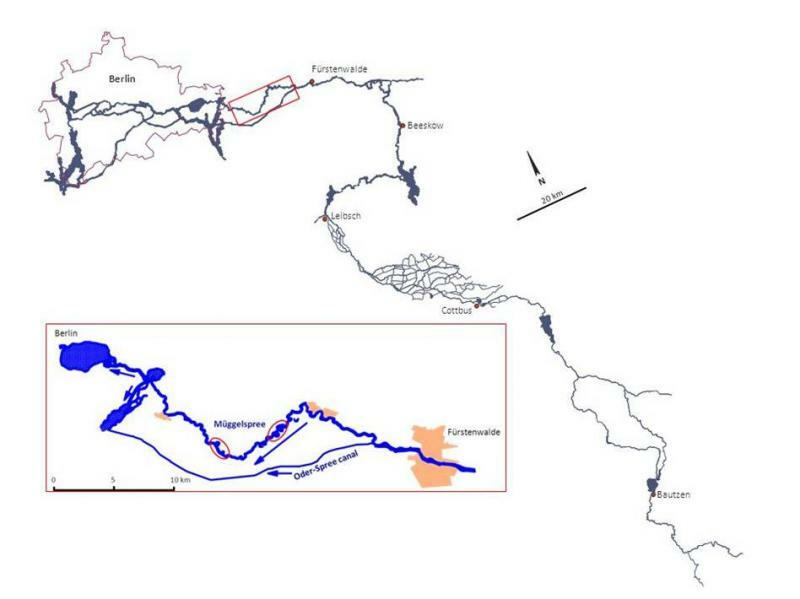 The project focused on the river corridor as the part of the river basin where most pressures are likely to occur.